Cruisin Automotive stocks Unisteer Performance products. Unisteer makes precision steering components, tools and implements for the powersports industry. CRUISIN Automotive are the only authorised Australian Dealer for Unisteer (no other dealers Australia wide). The rack & pinion conversion kit from Unisteer will give your car the ease of steering and road feel modern cars have. Each kit is engineered to bolt in without sacrificing steering geometry or safety. 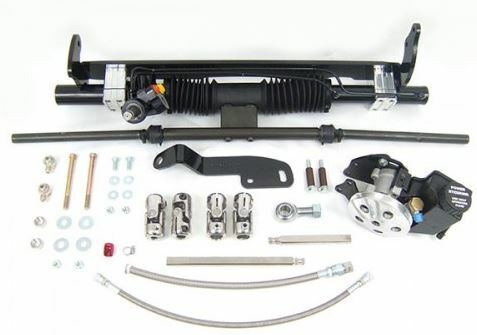 Unisteer rack and pinion steering kits are available for a variety of classic vehicles. Unisteer 1965-66 Mustang Manual Rack & Pinion. 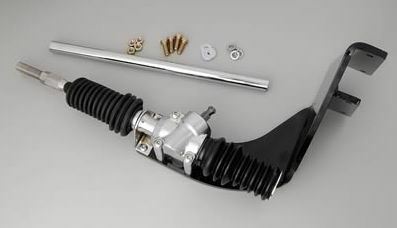 Improve your Classic Mustang with Unisteer’s Early Mustang Rack & Pinion Kit, for the 1965 and 1966 Ford Mustang. This Kit greatly improves handling, responsiveness, and steering effort. 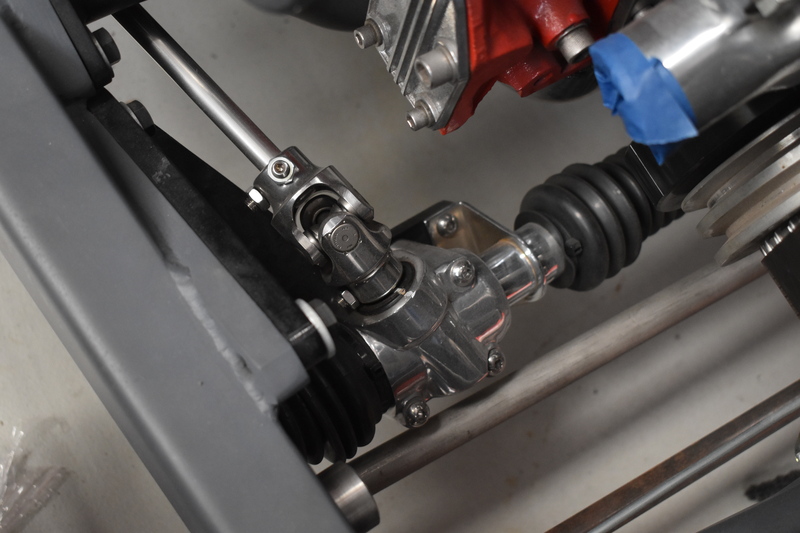 The custom steering gear is engineered to match the stock Mustang suspension, and has no bump steer. Unisteer Late 1967-70 Mustang Manual Rack & Pinion. Improve your Classic Mustang with Unisteer’s Early Mustang Rack & Pinion Kit, for the Late 1967, 1968, 1969, and 1970 Ford Mustang. This Mustang Rack and Pinion Kit greatly improves handling, responsiveness, and steering effort. 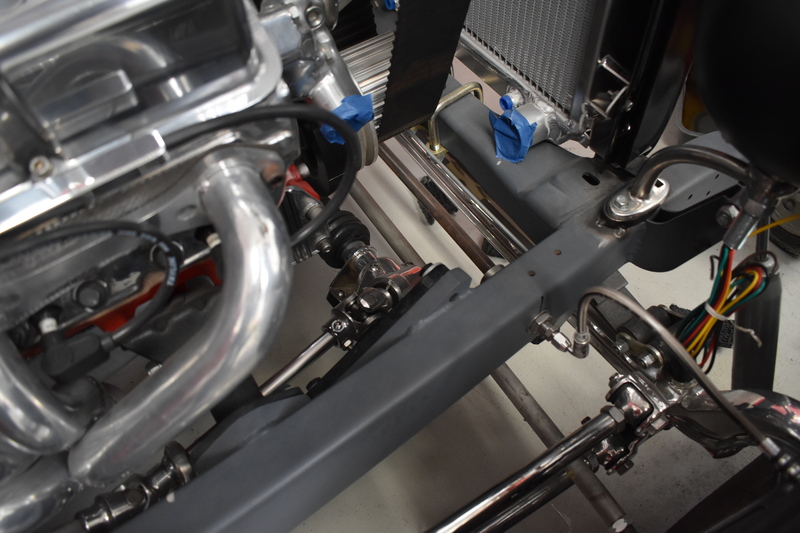 The custom steering gear is engineered to match the stock Mustang suspension, and has no bump steer. Unisteer 1967-69 Camaro Big Block Long Water Pump Power R&P Super Kit. 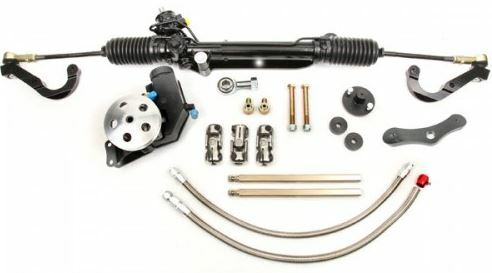 Unisteer’s kits are based off the stock cross-member and steering linkage. The power rack & pinion is a narrowed GM rack. This is machined so that the internal pivot points match the dimensions of the original center link and control arms on the Camaro front end. 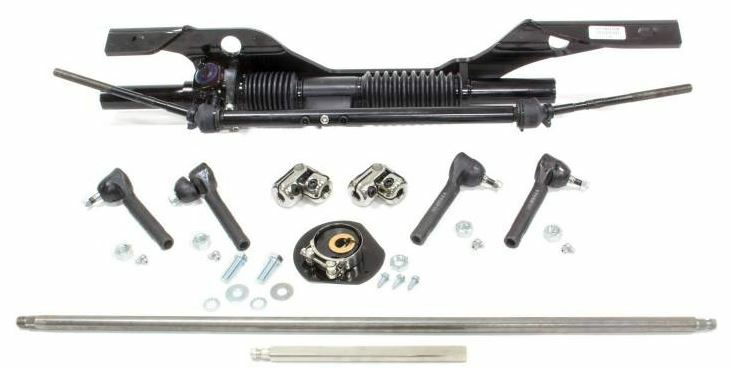 1967-69 Camaro/1968-74 Nova Power Rack & Pinion Kit, Black. Unisteer’s kits are based off the stock cross-member and steering linkage. The power rack & pinion is a narrowed GM rack. The racks come mounted to a simple one piece bracket that mounts up right behind the stock cross member at the rear lower control arm bolts. 1975-81 Camaro Small Block Long Water Pump Rack and Pinion Kit. This kit is extremely similar to our ’70-’74 Camaro kits. The main difference is the column, so we have a different shaft kit. This uses a front steer center take off style rack & pinion attached to a one piece mounting bracket which bolts to the same mounting holes for the original steering box and idler arm. The center steer rack & pinion replicates the original steering linkage. These kits have been used on both small block and big block motor cars. Cruisin Automotive has installed Unisteer parts into client cars at their Malaga workshop. Check out these photos. This rack & pinion conversion kit was installed in a 1932 Ford.